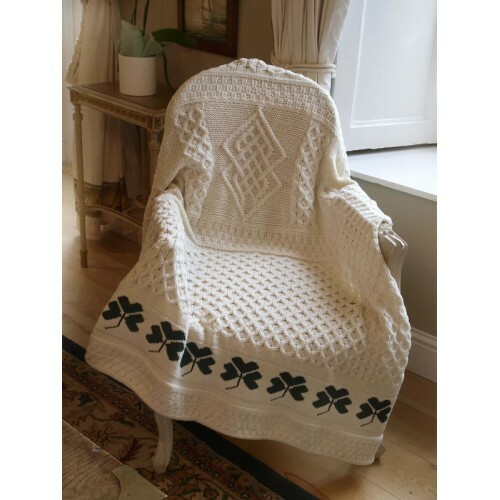 Traditional Knitting for all to see, this wool blanket from Aran Craft is very special. As it is made from pure wool it is perfect for cuddling up with, and is a must for cold winter evenings. The blanket is 60 X 50 inches approx and is knitted using Irish cable stitching said to resemble the fisherman’s ropes and brings hopes of a fruitful day at sea.